Efficiency is one of the key necessities of running a successful business. The art of cutting costs without negatively impacting product or customer service is a tricky one to perfect. Luckily, current technologies and modern business practices have ensured that it is now possible to reduce your ongoing costs while remaining at the top of your game. 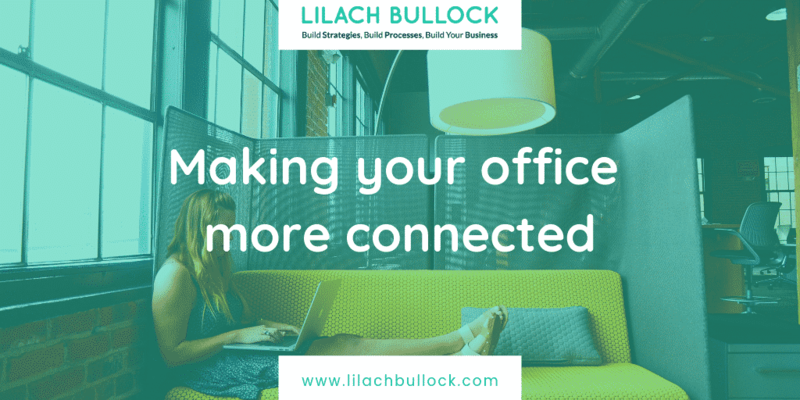 One of the most effective ways of perfecting your productivity is through a more connected office. In a hyper-connected world, having the right smart technologies and finding modern solutions to traditional office drawbacks is no longer an option: it’s a necessity. If your office is accumulating a high number of energy bills, then you’ve probably already looked at ways to get those costs down. Rather than keeping your heating off and asking your staff to wear warmer clothes, it’s much more useful to adopt smart lighting and temperature controls. There is a huge range of options available, and each will help you to manage your energy spending more easily. Making sure that the office is at optimal temperature when the workers are in, and that the lights are off when they’re not being used, can all help to keep your energy bills lower without negatively affecting workflow. From Wi-Fi to Bluetooth, devices are more connected than ever before. You can make use of this with both software and hardware. For those with an eye on productivity, connecting your phones, social media accounts, and desktops to your local printer can save both time and money. Brand names printers like Epson come with a full range of high-tech add-ons, and quality Epson ink cartridges are easily available. Look at the ways the Internet of Things (IoT) is changing the way that people run their homes and businesses, and incorporate this emerging technology into your own work environment. One of the most important factors to consider when you run an office is your security. This is also the area where the IoT is having the most impact. Connected security devices such as smart locks and HD security cameras can now work together to keep your office more protected than ever before. Even the risk of employee theft can be reduced via the use of connected key card systems that deny entry to more sensitive or high-risk office areas. Even this keycard technology is becoming outdated, as more and more offices start making use of digital passes that are downloaded straight to the employee’s phone. This can help with the clocking in-and-out issue that has long been the bane of the office manager. This technology can also be utilized to factor in visitor management as well. Being stuck in the past is no way to grow a business. Look at the newest tech trends and technologies, and assess their suitability to your work environment and your work ethic. As the world continues to become ever more connected, the office of the future is going be full of connections that will boost productivity, ensure efficiency, and keep everybody safer and more secure. Don’t fall behind.